Hello Crafters! I have a new card today using this fabulous sketch over on SCS. Here is the SCS sketch I've followed. Isn't it a fabulous layout? 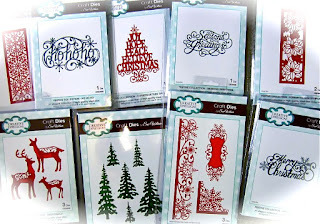 I'll definitely be using this lots - like a go-to sketch - would be especially great with all of Sue Wilson's lovely Border and Corner Craft Die Collections! For Sue's entire 2015 FESTIVE COLLECTION (Release-1), Click HERE. For Sue's Mini Festive Collection (Release-2), Click HERE. To see all of Sue's amazing Releases, visit Creative Expressions HERE. 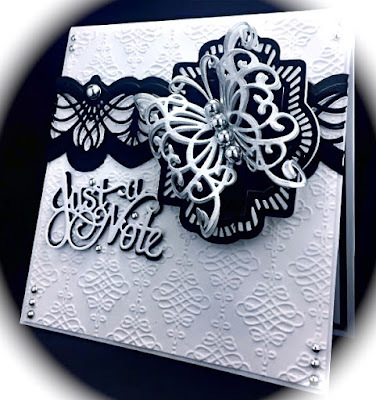 Sue's incredible tutorials can be seen on the Creative Expressions YouTube Channel "Crafting My Style", found HERE. Have you seen My HUGE BLOG CANDY for my Followers?? 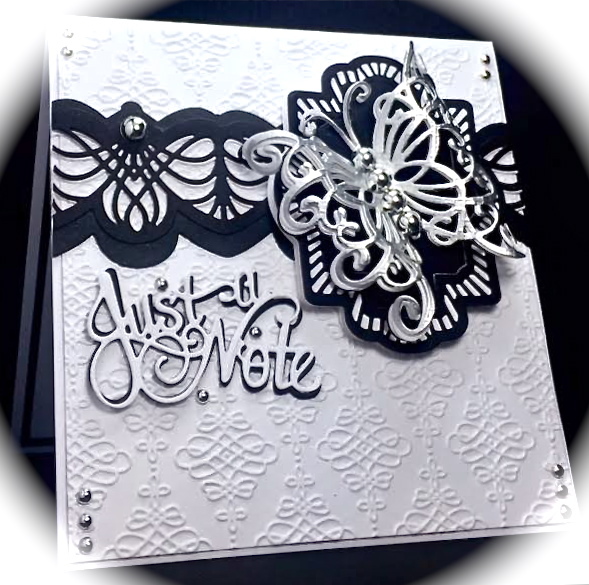 If not, CLICK HERE to go directly there and see the lovely Creative Expressions Collection giveaway! Hurry and ENTER so you don't miss out on winning these fabulous dies! DO YOU WATCH CRAFT TV?? If so, are you familiar with HOCHANDA TV? (Home of Crafts, Hobbies and Arts). It's brand New and absolutely fabulous! Experience new Ideas and be inspired. Check it out online HERE. These dies are being featured. Sue Wilson will be on Friday Sept 25th, for a One Day Special Launch at 8pm and return with shows all day Saturday at 9am, 12pm, 4pm and 7pm. Tune in to see her incredible demos featuring the gorgeous 2015 Festive Collection. Absolutely stunning America and the colours and your design are wonderful. That's a super card ! 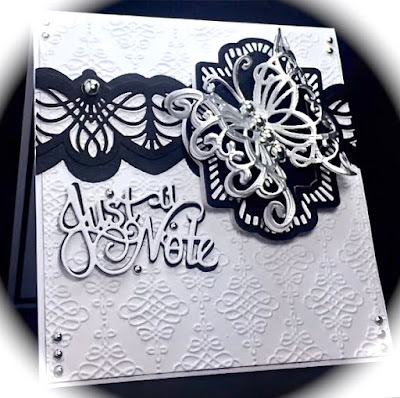 Beautiful embossing and great use of the dies. This is just fabulous!! Great design and the diecuts are stunning! Absolutely gorgeous! I love this! Stunning! Love the way you offset the sentiment.